Learn more about English Lops! English Lops are one of the very first, original breeds of rabbits that were developed, in the 1900’s, for the purpose of exhibition. It is believed that this was the first lop-eared rabbit to be purposely created by humans. 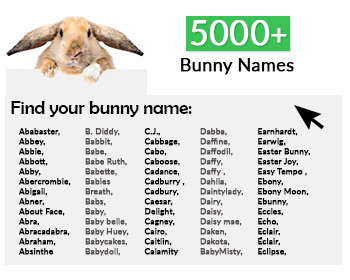 Their ear-length was due to the hotter climate of the Algiers, as the ears of rabbits are used not only for hearing, but also as the only form of regulating their body-temperatures. Furthermore, during the Victorian Era, English Lops were notably on the rise as a very popular house-pet. Later, these rabbits were crossed with Continental Giant type breeds, to create French Lops and then crossed with Netherland Dwarfs to create Holland Lops. They were recognized by the ARBA in 1914, being the 15th breed to be recognized. 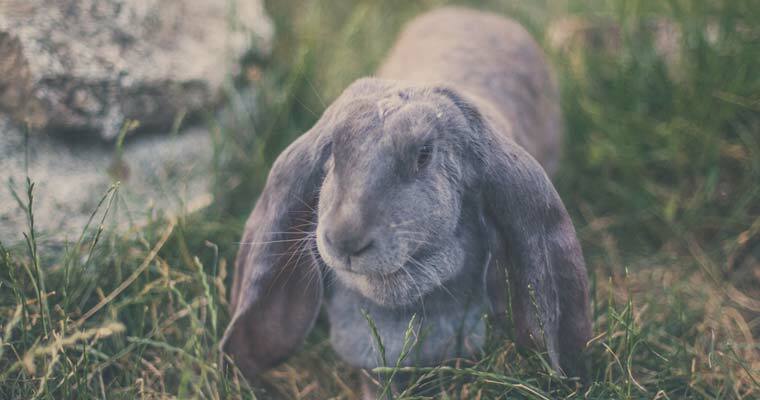 What is an English Lop? 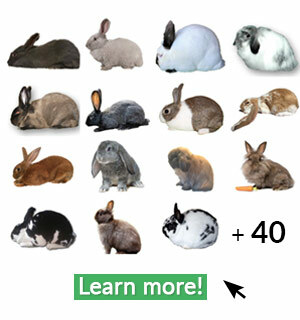 English Lops are a fancy breed of rabbit that is easily distinguishable at first glance, due to their extra -long lopped ears, which typically measure from 21 to 32 inches in length from tip to tip, with the length being completed by 4 months of age. Their bodies are long and resemble a mandolin, and their fur is smooth, short, silky, and flies back when stroked from back to front. Otherwise, they have calm, laid-back and friendly temperaments, and are often referred to as being lazy. They are known to make wonderful pets, even for children – although supervision of children with rabbits is always required. 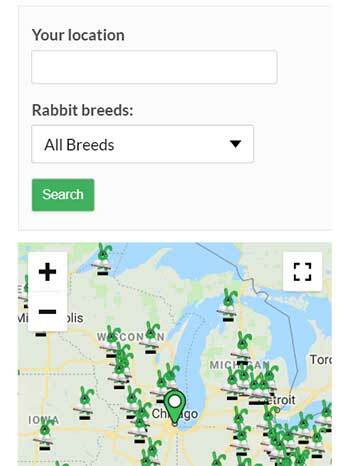 How do I care for an English Lop? These rabbits need a large hutch, allowing plenty of room to move around without standing on their ears to do so. The floor of the hutch should be of solid material, such as wood or plastic, rather than wire. They should have a water-bottle rather a crock as well, to prevent their ears from getting wet and / or dragging thru the water. During the winter, extra care must be provided to prevent the ears from getting wet, as they will freeze. 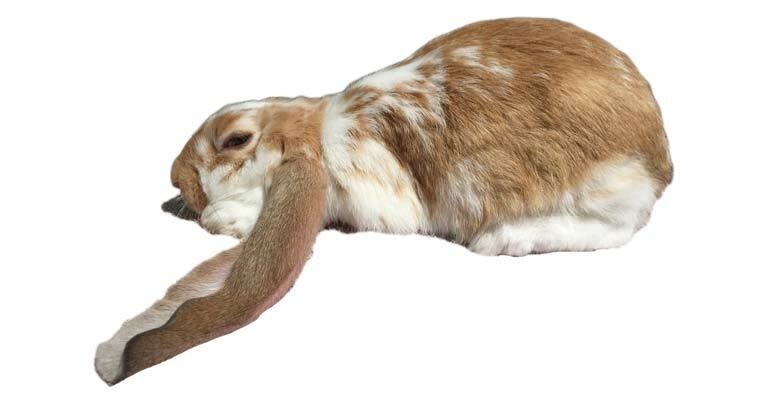 If the tips of an English Lops ear freeze or become frost-bitten, they will actually fall off. They should also be checked frequently for ear infections and / or ear mites, and toenails must remain trimmed to prevent injury to the ears. In regard to feed, it is suggested that English Lops be fed approximately 2 cups of high quality pellets which contain 16-18% protein, in addition to hay, and moderate amounts of rabbit-safe, fresh veggies and limited amounts fruits. Is my English Lop show quality? Over-all balance and quality should be the deciding factor when quality is determined, notably mentioned because assessment based on the unique ears should be avoided. When judging, the body is actually awarded slightly more points than that of the ears. The body should be firm, well developed, and well balanced, tapering from shoulder back to hindquarter. A full, well rounded chest is desired. While viewing from the side, the mandolin shape should be distinctive and show a well-presented arch. The arch should begin at the back of the shoulders, smoothly curving over the hindquarters with the highest point of the arch being at the top center of the hips. A lack of an arch, chopped hindquarters, short frame, narrow shoulders, and /or pinched hindquarters are considered faults with the breed, as is poor flesh condition and an arch that is severely cut, beginning at the nape of the neck rather than the back of the shoulders. BODY: Firm, well-fleshed and conditioned body with hindquarters tapering up to shoulders, presenting an arch over the hips, which begins at the back of the shoulders. HEAD: Neck is to be short. Medium sized head with full cheeks that transition into a wide muzzle, having the presence of a curved profile view. EARS: lopped, long, thick and with no noticeable crown. Minimum length is 21 inches from tip to tip with the width being approximately ¼ of the total length of the ear; very soft to the touch, smooth, and free damage. 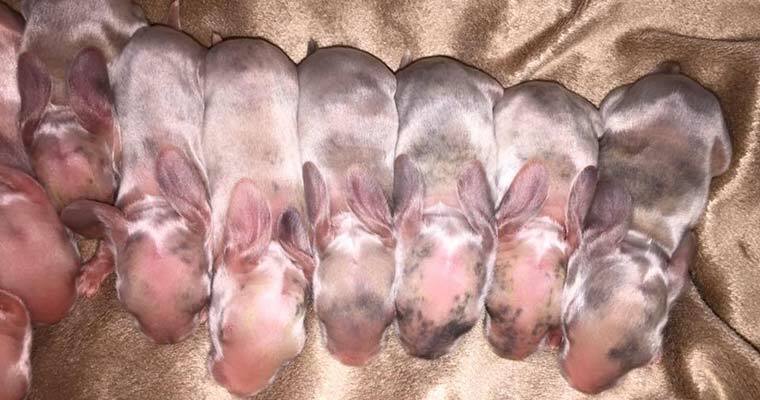 COLOR & MARKINGS: There should be a butterfly, eye circles, and dark ears with a preferable blanket-pattern on the body with a minimum of 10% color showing, which should begin behind the head, and transitioning back to the lower part of the hips. Feet and legs should be white with elbow spots. The recognized color groups are agouti, broken, self, shaded, ticked, and wide-band.